Although the over projected nose usually appears after nasal aesthetic surgery, Can be seen rarely due to birth and genetic factors. It can occur due to the excessively elevated distance of the nose tip compared to the face (more projection of the type) or high degree of angle (nasolabial angle) between the nose and upper lip. How is the 'pig-like' nose be treated? If the projected nose is present due to a natural and genetic condition, a "nose-down procedure" may be performed with the aid of cartilage grafts that direct the tip of the nose downwards. In fact, although the word "nose-down" is a false expression; Is used to mean the opposite of "nose lift". Reducing the nasal angle and directing the nasal tip downward to achieve a natural appearance may require more difficult and detailed procedures in patients who have undergone one or more nasal cosmetic operations. Many different procedures may be necessary for patients with nose tip lifted too high with previous nose surgery, such as cartilage graft applications, suturing methods, natural fillings between the nose and the nose ridge, so that the nose tip can be restored to a natural angle. Do not think of revision nose aesthetics and revision nose tip surgeries like photoshop application! It is usually not enough to apply only nasal filling to these patients. Surgical procedures, ie revision nasal aesthetic or revision nose tip surgery, nasal cartilage reshaping process is being done. Patients with nasal asymmetry should not confuse surgical application with a PhotoShop application and should not expect a flawless result in patients whose nasal cartilage has been deformed by permanent manipulation. 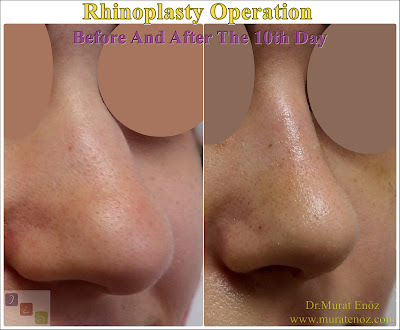 Sometimes, many factors such as excessive grafting at the tip of the nose, excessive squeezing of the nasal cartilage upwards and the presence of healing tissues emerging at the tip of the nose sometimes make the last operation difficult. In the past nasal aesthetic surgeries, the nose shapes that seemed to be overly lifted, thin, squeezed from the front and quite in the "plastic nose" style were considered as "beautiful". Nowadays, many surgeons are trying to obtain a natural, facial, functional nose. Everything about nasal cartilaginous and nasal cartilage is a unique and well thought-out device. Do not forget that the sections you do not like or that you want to change easily can be quite important for your health. Instead of "I want a very lifted nose!" or "I want to little bit unnatural nose", most useful practices for reduce the risk of "over-lifted nose" is being touched the nose as little as possible. Perhaps, as a surgeon, it is most appropriate to refuse to surgery in patients who has the effort to move away from naturalism, or scientific ratios (perhaps millions of different angles and nose tips, nose shapes are desired for unnatural nose, which one is suitable for patients ...). Revision nose surgeries are operations that are more difficult than classical nasal surgeries, such as opening the surprise box, which requires understanding of certain things during the surgery and performing different methods during the surgery. 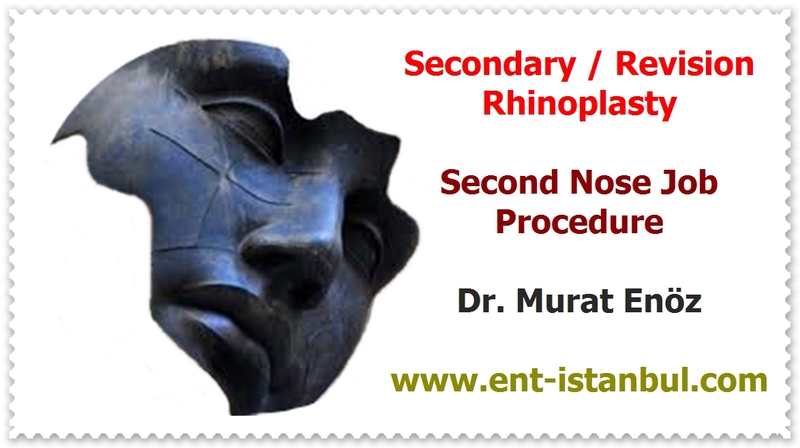 In patients with over lifted nose tips, more natural noses can be obtained with revision nose tip surgery. However, it is not always possible to obtain exactly the symmetrical and perfect result of the desired angle.